Lock in a great price for Kerswell Farmhouse – rated 9.8 by recent guests! Terrific accommodation. Comfy beds. Great breakfast. Friendly hosts. 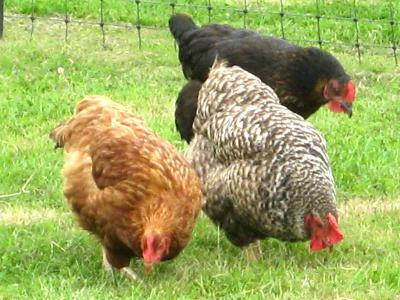 Loved the dog and the chickens! This is an idyllic farmhouse that has been beautifully restored to a very high standard. Would have liked to stay longer. Graham and Nicola were very welcoming as was 'Bear', the family black Labrador! The owners were so very friendly and welcoming. The farmhouse was beautiful and the views were stunning. The rooms were exceptionally clean with comfortable beds and soft crisp linens. Breakfast set you up for the day and there was ample choice. Clean rooms, privacy, bidet, delicious breakfast, bar. Friendly hosts!! Tasteful and elegant decor throughout with antiques and pieces of art. Great breakfast with delicious local produce!! All in all a wonderful experience!! Beautiful location, outstanding accommodation, amazing breakfast, wonderful hosts. Lots of local information supplied prior to arrival, Graham and Nichola went above and beyond to make our stay memorable. Such a beautiful, peaceful place. A warm welcome (both human and canine) and such wonderful attention to detail, from the chilled water and milk in the (silent!) fridge in the room, to the delicious breakfast (there are a lot of mentions in the reviews about the breakfast - they're well deserved!). The farmhouse has a terrace with a splendid view of the surrounding countryside. That does mean that reaching Kerswell FH can only be done via some narrow country roads, but don't let that put you off. I think we may well be back!!! Huge selection of DVDs. Excellent breakfast choices. Kerswell Farmhouse This rating is a reflection of how the property compares to the industry standard when it comes to price, facilities and services available. It's based on a self-evaluation by the property. Use this rating to help choose your stay! 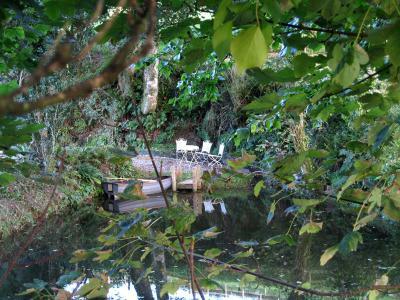 Kerswell Farmhouse is located 7.3 miles from Totnes and 7.8 miles from Dartmouth. The farmhouse has 5 hectares of land and views towards Dartmoor. The property also features free WiFi access and free private parking. Each room has an private bathroom, White Company linen and toiletries, a silent refrigerator, a flat-screen TV, tea/coffee making facilities and bathrobes and slippers. There is large variety of fresh breakfast choices, with continental and cooked options including smoked salmon and home-reared eggs, bacon and sausages. Guests can enjoy a drink at the Gallery Bar. 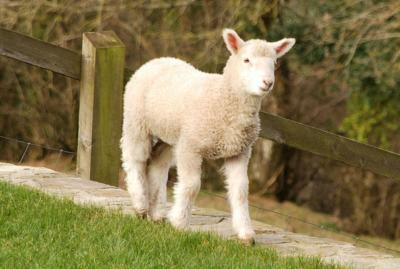 Kerswell Farmhouse is easy to reach from the M5/A38 and Totnes Train Station is 7.2 miles away. Exeter International Airport is 38.4 miles away. 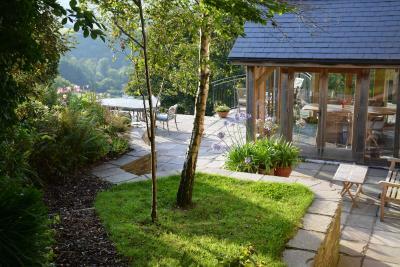 This property also has one of the top-rated locations in Totnes! Guests are happier about it compared to other properties in the area. This property is also rated for the best value in Totnes! Guests are getting more for their money when compared to other properties in this city. When would you like to stay at Kerswell Farmhouse? This double room has a view, CD player and electric kettle. This suite has a electric kettle, tea/coffee maker and DVD player. Kerswell Farmhouse Boutique Bed & Breakfast is a 400-year-old South Devon longhouse that takes its name from its wells and cress beds which are fed by nearby springs. 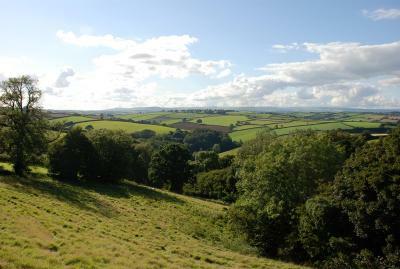 Located in a beautiful and secluded part of the South Hams between Totnes and Dartmouth and set in 14 acres of rolling countryside it enjoys spectacular views towards Dartmoor. Five double bedrooms have individually designed en suite bathrooms. Each bedroom is fitted in English oak and furnished with an elegant blend of antique and contemporary pieces and original artwork. Generously sized beds are complemented by luxurious fine cotton sheets. Other features enjoyed by all rooms include free Wi-Fi internet access, under floor heating, flat-screen TVs and tea and coffee making facilities. An excellent Devonshire breakfast is served using fresh home and local produce. Kerswell Farmhouse is fully licensed and offers an honesty bar in the Art Gallery and an extensive cellar. House Rules Kerswell Farmhouse takes special requests – add in the next step! Please inform Kerswell Farmhouse of your expected arrival time in advance. You can use the Special Requests box when booking, or contact the property directly using the contact details in your confirmation. It was perfect no complaints from me the food and facilities are all top quality I highly recommend it. There’s absolutely nothing to not like! The only downside was that we could not stay longer...! Amazingly friendly, hospitable and welcoming hosts in Graham and Nichola. They made us feel so welcome and made our stay so special. The rooms and property are immaculate and extremely comfortable. Food was delicious and fresh. White company products and fresh milk in room were extra touches we were not expecting but really made a difference! We really feel like we have been spoilt and can not recommend this property enough to others!! Would have preferred to have a room with a better view but we think we had the last available room. Ambience, friendly and helpful temporary hosts. Breakfast fabulous. Made to feel very welcome. Very comfortable bed. The breakfast is surely the best in the county! Fresh from their own garden and farm. Graham and Nicola were absolutely brilliant, providing regional knowledge, recommendations and just friendly to get along with in general, and can't forget the overly friendly Labrador, bear! The farmhouse has been fabulously furnished, all the way from the dining room to the bathrooms. In terms of location compared to other sites, surely one of the best available. Will be returning for sure! Excellent hosts, went out of their way to make guests comfortable and feel welcome. Great English breakfast and bar! Perfect for couples quite get away. Plenty of great pubs close by. Would go back.